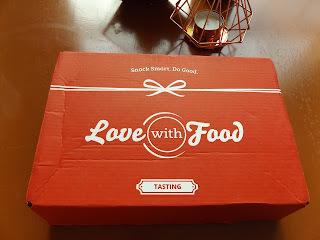 I resubscribed to Love with Food!! I used to really love this box when I had it about a year ago, but this one seemed to be a bit lacking... Even when I opened it there was a lot of empty space, which was so sad! 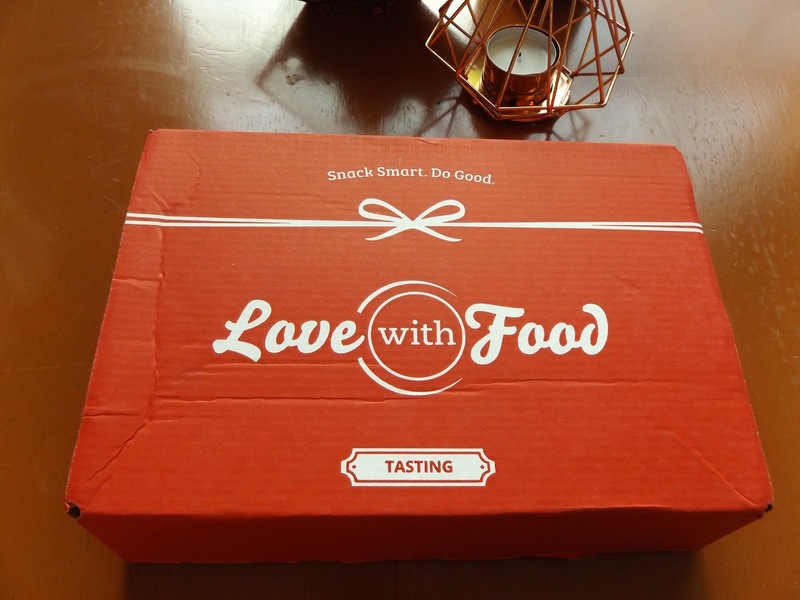 But there were still a few good items in it, and I got a three month subscription, so maybe they will get better. These are The Daily Crave Veggie Chips. I love the design of this bag, the newspaper scape is so eye catching. 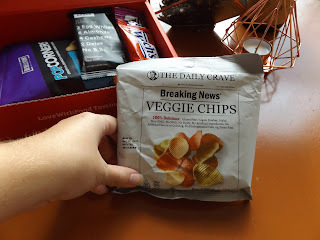 I have had veggie chips before and have never had too strong of an opinion on them in either direction, so maybe these will change that! 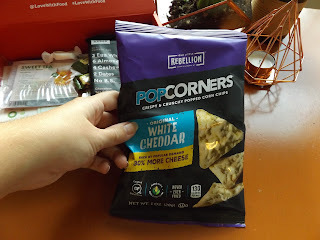 This was probably my favorite thing out of this month's box, these were awesome! These are the Popcorners White Cheddar chips. I actually found these at the grocery store later, which never happens with these boxes it seems like! I bought the Kettlecorn version. 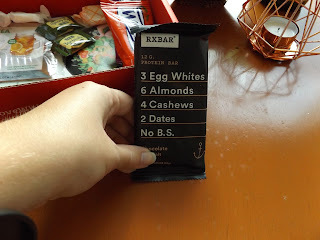 This is the Chocolate Sea Salt RXBar. All of the ingredients are listed right there on the front, which is kind of cool and kinda freaks me out... I haven't tried it yet because I am not usually a big fan of these type of bars, but I am going to! I am determined! These are the Welch's Fruit Rolls in the flavors berry and strawberry. These remind me of the fruit rolls when I was little! 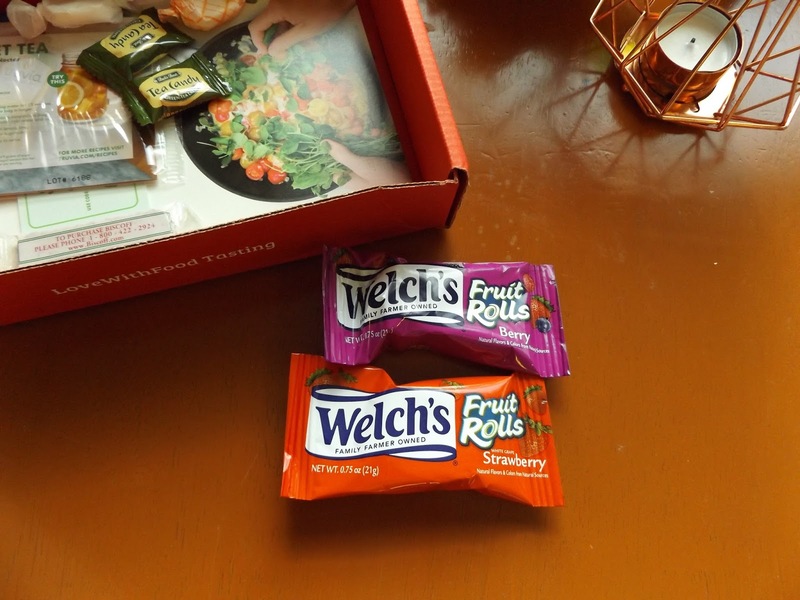 I have kinda grown out of them now since they taste so fake, but since welches are some of the best brand of fruit snacks I have high hopes! I was super disappointed with these Green Tea Latte candies. I haven't gotten one of these boxes in probably a year, yet the first box I get is a repeat from past boxes. I wasn't a huge fan of them then, and I'm still not really. I know these boxes aren't personalized, so I am more upset about the repeat than anything. If I didn't look it up on their website, this would just be a brandless, nameless, flavorless saltwater taffy. 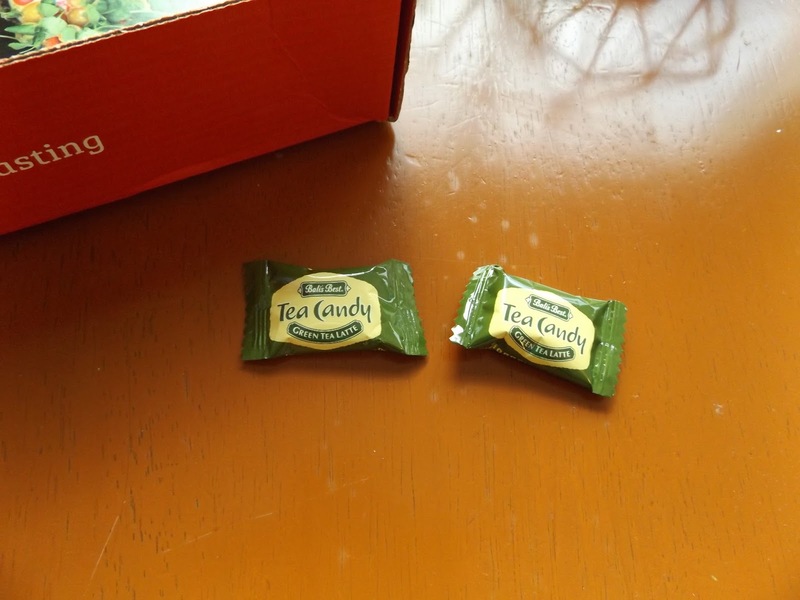 But, apparently it is by Florida Candy Factory and the flavors are orange and vanilla. 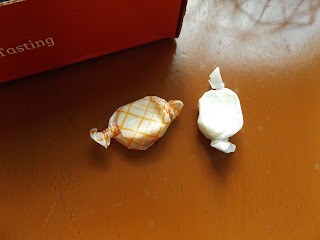 Saltwater taffy isn't usually my thing but the flavors aren't too bad. This is a sample of Truvie Nectar. That's great and all, but I can get this sample for free online, and I have done that before. 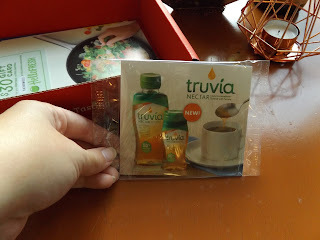 Truvia is a nice brand, but this is pretty small. This Biscoff cookie was tiny, but it was pretty good! 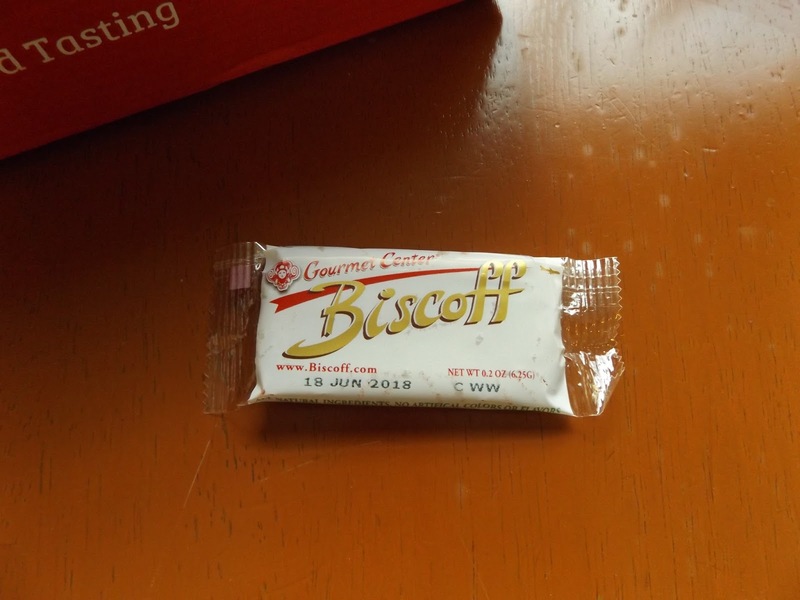 As far as paying for a box of snacks and getting a cookie the size of my thumb, I can't say I was super thrilled with it, but at least it tasted good.